Self-cleaning screens with polyurethane strips - Sovatec Industriale S.r.l.Self-cleaning screens with polyurethane strips - Sovatec Industriale S.r.l. 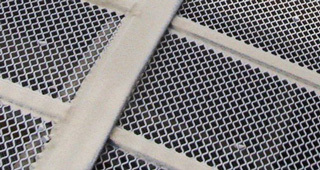 The screens are made of spring steel or stainless steel wires kept at the right distance by polyurethane strips. The polyurethane strips are usually in a position which corresponds to that of the traverses of the sieving machine. In case of order, it is necessary to specify, in addition to the dimensions of the screen, also the distances between the supporting traverses and the tensioning system (longitudinal or transversal). 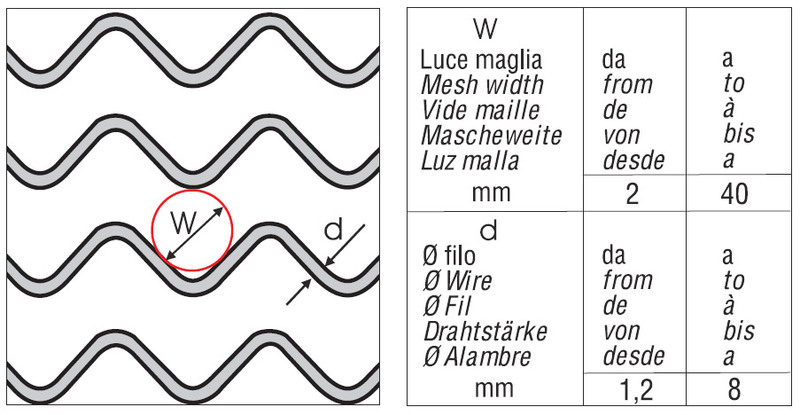 In this type of screens the wires are crimped on the same plane of the screening surface. This leads to openings approximately square, having the side in proportion to the pitch of the wire’s crimp. TEXO-CAR grids ensure, by this form of opening, an exact calibration of the different grain’s sizes. 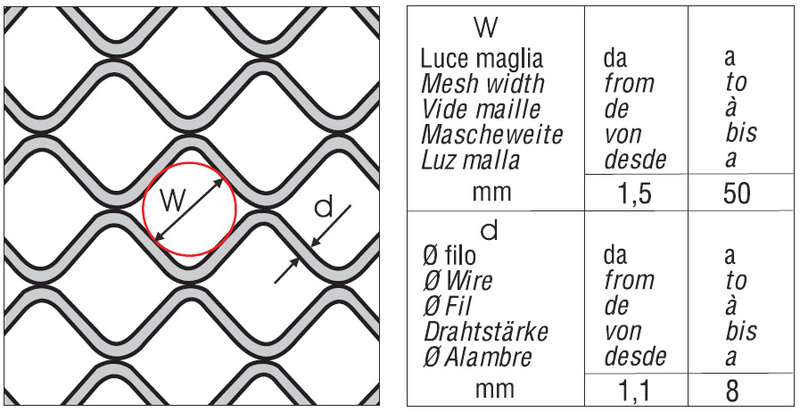 By these grids the clogging is nearly totally eliminated thanks to different vibrations and swingings of the longitudinal wires, due to the diameter’s difference. The TEXO-TRI are different from the TEXO-CAR having triangular holes obtained by alternating a crimped wire with a straight wire of thicker diameter. They are made of straight longitudinal wires kept at the right distance by a polyurethane strip. All openings are available, with wire up to 5 mm. They allow a better calibration of the material, maintaining a very high efficiency.